Nassau Roads to Close for LI Marathon April 30th and May 1st. Numerous roads in Nassau will be closed at times this weekend to accommodate the Long Island Marathon. 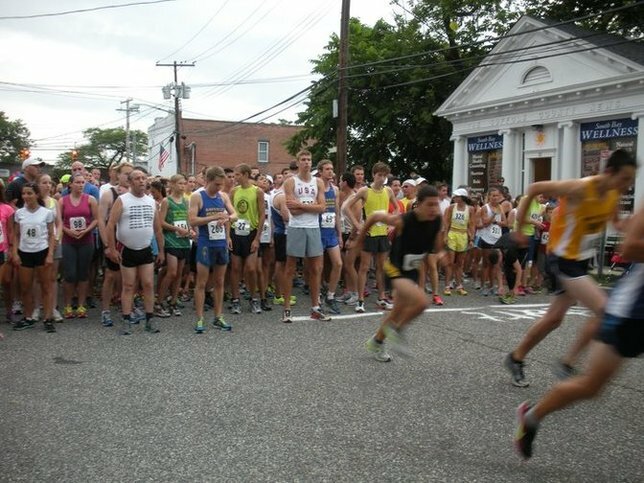 Runners at a race in Sayville. April 27, 2016 - The Nassau County Police Department advises the closure of the following roads on Saturday April 30th, 2016, and Sunday May 1st, for the Long Island Marathon Weekend. All road closures are ultimately decided by the Nassau County Police Department. Roads may be closed earlier, may remain closed longer, or may reopen sooner than the times posted here. Meadowbrook Parkway exits and entrances to and from Charles Lindbergh Blvd. (Nassau Coliseum, Nassau Community College) and Eisenhower Park exits will also be closed from 7:45 A.M. until 10:00 A.M.
Northern State Parkway exits to Post Avenue and Wantagh Parkway will be closed. Meadowbrook Parkway exits and entrances to and from Charles Lindbergh Blvd. (Nassau Coliseum, Nassau Community College) and Eisenhower Park exits will be closed from 5:00 A.M. until 10:00 A.M.
Eisenhower Park's Park Blvd. will not allow through traffic between 7:15 A.M and 10:00 A.M. The Hempstead Turnpike entrance to the park will be open throughout the day for Golf and Carltun guests, with a turnaround at the golf course until 10:00 A.M.
Subject: LongIsland.com - Your Name sent you Article details of "Nassau Roads to Close for LI Marathon April 30th and May 1st."